Increased attention is being paid to the long-term health and well-being of people living with a history of cancer. Of particular concern is cancer’s effect on productivity and work ability, which in turn is important for persons’ financial situation, life satisfaction, and social relationships. We explored the extent to which Norwegian cancer survivors stay affiliated to working life compared to the cancer-free population, and quantified cancer-associated earning declines. Logistic regression models were estimated to explore the impact of cancer on employment using register data covering the entire Norwegian population in 2001, 567,000 men and 549,300 women 40–59 years old, of whom 34,000 were diagnosed with cancer. These analyses revealed that a cancer diagnosis was strongly associated with not being employed. Log-linear regression models were used to estimate the effect of cancer on labor earnings in 2001 for those employed. Cancer was associated with a 12% decline in earnings overall. Leukemia, lymphomas, lung, brain, bone, colorectal, and head-and-neck cancer resulted in the largest reductions in employment and earnings. Earning declines were strongly associated with educational level. In addition, linear regression models were used to estimate differentials in earnings before and after cancer. These results accorded well with those from cross-sectional models. Cancer survivors are less likely to be employed than the cancer-free population, and undertake modifications in their employment, e.g. reduce work-hours or hold lower-wage jobs, which result in reduced earnings. A social class gradient is present and must be addressed to accommodate appropriate intervention from welfare societies. With recent improvements in long-term cancer survival and a growing population of cancer survivors, more attention is being paid to the long-term health and well-being of people living with a history of cancer [1, 2]. Of particular concern is the effect of cancer on productivity and work ability. An altered affiliation to working life may threaten the economic well-being of cancer survivors and their families, as well as negatively affect persons’ identity, life satisfaction, and social relationships [3, 4, 5, 6]. Earnings should theoretically reflect the productivity of individuals. An individual’s working capacity has many determinants, and illness is one of several influential factors that may have a negative impact on productivity. Productivity, and thus earnings, may be hypothesized to decline after cancer because both the illness itself and adverse side-effects of the treatment can compromise physical health, and thus result in an inability to work, or a need to reduce the working hours [7, 8, 9]. Health problems related to cancer may also interfere with the ability to perform the regular duties and tasks encountered in certain careers (e.g. travel frequently or walk around all day), and thus result in deferred promotions or perhaps even demotions. Compromised health may also lead to an inability to work shifts that are generally better paid, or perhaps result in not having the energy (or in countries with health insurance linked to employers: not the opportunity) to make appropriate career shifts. Commonly-reported long- and short term physical complaints include pain, digestive problems, neuropathies in hands and feet, cardiovascular problems, immune deficiency, anemia, lymph edema, impaired vision due to cataracts, impaired mobility, and fatigue [2, 7, 10]. Recently, more focus has been diverted to cognitive functioning, and potential adverse effects of cancer treatment on memory, attention, and concentration . Cancer has also been reported to influence psychological health, by for instance increasing the risk of depression [5, 12]. Research is relatively scarce on how cancer may have an impact on labor participation and earnings, both with regards to potential short- and long-term consequences. Two earlier reviews state that the mean rate of employment varies greatly and depends among other things on type of work, time since treatment, and cancer type, but is on average reported to be around 62%  or 67% . The reviews report no  or an inconsistent  association with sociodemographic factors, and they both address several methodological concerns with prior studies. We were not able to find reviews on changes in earnings following cancer. A recent overview summarizing studies on employment after cancer from 2002 to 2006, states that although the majority of cancer survivors are able to return to work, some cancer survivors experience difficulties that appear to be related to cancer type, type of treatment, health status, education, and physical workload . Existing empirical studies thus show conflicting results: Some studies suggest that changing job or employer, shifting to part-time work, nonemployment and early retirement are common characteristics among cancer survivors [16, 17, 18, 19]. By contrast, some recent studies have concluded that a diagnosis of cancer does not have a substantial impact on people’s employment possibilities [20, 21, 22, 23, 24] or earnings [4, 25]. Previous research has suggested that leukemia, bone, lung, brain, and head-and-neck cancer impact more severely on working ability and opportunity than for instance testicular, prostate and breast cancer [16, 19, 20, 21, 26, 27, 28], and also that the spread of disease may be important for the impact on employment and earnings [19, 29]. A recent study shows that many of the factors associated with work difficulties may be modifiable, thereby suggesting a potential for improvements in this area . An aspect of employment that may be equally relevant, is that maintaining an affiliation to working life has been shown to be of importance for the quality of life of cancer survivors healthy enough to want to continue working [31, 32]. Not being employed and/or low earnings have been associated with particularly poor cancer adjustment, a general increase in health-related problems, as well as reduced quality of life [2, 33]. Declines in earnings are commonly associated with a decrease in general welfare. The family as a whole may experience a decline in living standards if the breadwinner acquires cancer. We aim to explore the extent to which Norwegian cancer survivors stay affiliated to working life compared to the cancer-free population, and to quantify declines in earnings associated with cancer. Cancer form, stage, and time since diagnosis may affect employment and earnings levels, and will be explored separately. Age, educational level, earnings prior to illness onset, marital status, and children in households may modify such effects, and will be accounted for. Data from four sources were linked by means of the personal identification number assigned to everyone who has lived in Norway for some time after 1960. The Norwegian Directorate of Taxes provided information on employment and yearly gross labor earnings for all citizens, while the Norwegian Population Register gave information on date of birth, date of death or migration, dates of changes in marital status, and dates of birth of children. Educational levels were extracted from the population censuses of 1960, 1970, 1980, 1990, and 2001. The Cancer Registry of Norway has registered all cancer cases nationwide since 1953. Mandatory reporting from clinicians, pathologists, as well as death certificates ensures completeness and high data quality on cancer form, basis for the diagnosis, and stage at time of diagnosis . The impact of cancer on employment and earnings in 2001 was thus explored using register data covering the entire Norwegian population 40–59 years old. Our analyses were limited to women and men born in Norway, alive and residents throughout 2001. In the analyses of employment, a total of 566,965 men and 549,258 women were included, among them 11,826 male and 22,206 female cancer survivors diagnosed between 1953 and 2001 (Table 1). Altogether, around 45,000 men and 74,000 women were not employed in 2001, leaving about 90% of the cohort on whom further analyses were undertaken to quantify declines in labor earnings associated with cancer (Table 3). where p is the employment probability in 2001, y is earnings in 2001, D is a vector of cancer disease characteristics, and X is a vector of other covariates. Earnings refer here to gross labor earnings, as reported to the Norwegian Directorate of Taxes. Sickness benefits are limited to 1 year and are included in the earnings variable. Compensations beyond this, e.g. disability pensions and rehabilitation benefits, are not included in the earnings variable, and neither are capital gains.1 Several specifications of the cancer variable D were used. In one model, a distinction was made between no cancer and any cancer prior to 2001 to explore overall effects. Categorizations based on time since diagnosis were used in other models (Tables 1, 3, and 6). The most common cancer forms were considered, 14 for men and 15 for women, as well as the spread of cancer at diagnosis (Tables 2 and 4). Persons’ age affects cancer incidence, employment, and earnings. Cancer incidence generally increases with age. Exceptions exist, however: Testicular cancer is most common in young men, and leukemia and lymphoma have one typical peak during childhood. Cancer may be expected to affect earnings differently within the age range 40–59. Earnings generally peak between 45 and 49 years, and then tamper off. In looking at earnings in 2001 only, effects of age and cohort may be entangled. Educational level, or socioeconomic resources more generally, may affect the incidence of many cancer forms, but the causality may also run in the opposite direction. Cancer in adolescent years may for instance reduce the chances of getting a higher education, with long-term implications for earnings. Age and educational level were included as potential confounders and/or modifying factors in all models, and additional analyses stratified on age and educations were performed and are reported upon. Models including marital status and number of children in households (or age of youngest child) were also estimated, but these effects did not affect the cancer estimates and are thus not shown. However, certain models were estimated separately for married and non-married persons, as it was of interest to explore potential differences in the effect of cancer for women in families of male breadwinners as opposed to those in dual-earner families. These results are reported on. In order to ensure that any differences between cancer survivors and the general population in employment and earnings were consequences of cancer and not merely a result of differences present also before diagnosis, we undertook several analyses to assess the comparability between the two groups at the outset. We estimated models for people who were cancer-free in 1990, and explored whether their work activity and earnings in 2001 was affected by a later cancer diagnosis, controlling for employment status and earnings in 1990. Very similar estimates were obtained (Table 5). The same model set up for the arbitrarily chosen year 1995 also rendered the cancer estimates fairly stable (not shown). Prior employment status and earnings were therefore not included in the final models. In addition, a difference-in-differences approach was employed to take into account that there may be persistent differences between people with and without cancer that are not picked up by education and earnings in 1990. Linear regression models were used to estimate whether the difference in earnings between 1991 (or 1993, 1995, 1997, 1999) and 2001, was influenced by whether the person was diagnosed with cancer in 1992 (or 1994, 1996, 1998, 2000) or had no such diagnosis, net of age and education at the start of the period (Table 6). Those with cancers diagnosed any other years were left out. The proc logistic and proc reg procedures in SAS® 9.1 were used for the respective estimations. Public health care is available and provided to all Norwegian citizens free of charge. The direct costs associated with becoming ill with cancer, i.e. diagnostic work-up and treatment, are thus minimal. The welfare state, common to many western societies, will to a certain extent compensate for increased expenses as well as illness-related declines in earnings. The compensatory measures are not available in our data, and the declines in earnings detected here only relate to changes in labor market activities. Cancer is thus likely to have a smaller impact on people’s purchasing power than what is suggested by the estimates from our employment and earnings models. Cancer incidence is often hard to predict, and cancer may be considered to affect persons randomly in many social strata. A cancer diagnosis is thus not associated with the same stigma as illnesses more obviously resulting from people’s life-style and lack of socioeconomic resources . Certain cancer forms, however, are more frequent in higher (e.g. breast and prostate cancer) and in lower (e.g. cervical and lung cancer) social classes . As we utilize national registry data, information bias may be considered minimal, and detailed information on potential confounders and modifiers, e.g. educational attainment and earnings prior to the onset of illness, is available. We were thus able to both control for and report upon some of the factors likely to affect earnings, cancer incidence, and prognosis. As all cancer survivors and the entire cohort of persons of working age alive throughout 2001 were included, also selection bias should be minimal. In this study, roughly 8% men and 14% women were not employed in 2001. The majority was most likely disability pension holders. A cancer diagnosis was strongly associated with not being employed in 2001. Among male cancer survivors, 13% were not employed in 2001, while the corresponding percentage among females was 20%. A logistic regression analysis revealed that cancer reduced the employment probability with 30–40%: The adjusted odds ratio (OR) for men was 0.62 (95% confidence interval (CI) 0.59–0.66), and the corresponding OR for women was 0.72 (CI 0.69–0.74). For both genders, the strongest impact on employment was seen for cancers diagnosed 3-to-4 years prior. The employment probability for men was reduced by more than 50% in this group. The tendency was similar but weaker for women, for whom a nearly 40% reduction was observed (Table 1). Leukemia, Non-Hodgkin disease, brain, bone, lung, colorectal, and head-and-neck cancer were clearly associated with a decrease in employment for both genders (Table 2). Size wise, the reductions ranged from 25–80%. In men, cancers in the kidney, bladder, and prostate are fairly common, and resulted in employment reductions of around 30%. No effect was seen for testicular and skin cancer, also common for the age groups considered here. Gynecological and breast cancer is common among women, and was associated with 25–30% reductions in employment. Restricting the analyses to cancer survivors diagnosed after 1990 and adjusting for employment status or earnings in 1990, rendered the cancer estimates fairly similar (Table 5). For the individual cancer forms, adjustments for prior employment status resulted in small decreases in the employment estimates obtained (not shown). Among female survivors, the greatest reductions were seen for brain and colorectal cancer with an additional 8% reduction in employment probability. Among male survivors, additional reductions up to 13% were seen for leukemia, prostate cancer, and brain cancer. A more adverse effect was seen for cancers in advanced stages. Size wise, the reductions in employment ranged from 20% for local cancers to 55% for cancers with distant spread (Table 2). Married women had a slightly increased risk of being non-employed compared to non-married women (OR 0.69, CI 0.66–0.72 vs. 0.77, CI 0.72–0.81). The most pronounced differences were around 20–30%, and observed for endocrine cancer forms, leukemia, lymphomas, and lung cancer (not shown). Also married men had a reduced employment probability relative to unmarried men (OR 0.56, CI 0.51–0.61 vs. 0.66, CI 0.61–0.71). The most pronounced differences were seen for lymphomas, skin, and bone cancer, and varied from 25–35% (not shown). Men and women with elementary schooling or less, hereafter called low education, had almost the same probability of non-employment as persons with higher education (Table 7). Lymphomas, however, were associated with more pronounced employment reductions among higher compared to lower educated women (OR 0.42 vs. 0.76). Among men, the same tendency was seen for brain cancer (OR 0.18 vs. 0.38). Norway has a relatively compressed wage structure. The median labor earnings in 2001 in the present cohort were US $51,900 for men and $34,200 for women.2 The yearly earnings of men employed in 2001, 40–44 years old with an elementary school education were estimated to $40,400. The corresponding earnings of women were estimated to $25,500. All percentages stated hereafter refer to changes relative to these sums. Estimates for other age groups and/or educational levels can be calculated on the basis of Table 3. Cancer was associated with a 12% overall reduction in earnings compared to that of employed persons without cancer, but of similar age and education. Cancers recently diagnosed were associated with a 26% decline in earnings. Relatively strong effects were seen also for childhood cancer survivors, while long-lasting modest effects were observed for adult survivors (Table 3). The estimates by cancer stage were almost identical for the two genders: The reductions were minor for local cancers, modest for regional cancers, and most pronounced for cancers with distant spread (Table 4). Many of the same cancer forms that impacted on employment, also affected earnings (Table 4). Statistically significant declines in earnings were documented for all cancer forms for both genders, with the exception of skin and prostate cancer in men and renal and bladder cancer in women. Size wise, the effects ranged from 5–45%. Although statistically significant, only modest earnings reductions of 5–14% were observed for female survivors of breast and gynecological cancer. Among men, testicular cancer was associated with a minor 5% reduction in earnings and prostate cancer made no impact. The strongest earning declines were seen for leukemia, brain, lung, and bone cancer. The overall earnings estimates with and without adjustments for prior earnings were comparable (Table 5), although slightly more pronounced effects were seen for leukemia, brain, and lung cancer in both men and women after adjusting for earnings in 1990 (not shown). For most cancer forms, earnings adjustments resulted in discrepancies below 2%. This is supported by the small differences seen in earnings with and without prior adjustments in Table 5. Overall effects of cancer using the longitudinal difference-in-differences approach are shown in Table 6. All estimates were statistically significant. Among men, the cancer-associated declines ranged from $4,400 for cancers diagnosed in 1992 to $8,500 for cancers from 2000. These declines correspond to 8% and 16% of the median earnings for men in this age group in 2001. Among women, the declines ranged from 10–15%. These estimated declines in earnings were comparable to those estimated in the cross-sectional models for earnings declines in 2001 (Table 6 vs. Table 3). Earnings declines were strongly associated with educational level. Cancer had a more severe effect in persons with low compared to high education (Table 7). A difference could thus be inferred to exist between blue- and white-collar workers. Blue-collar male workers had a nearly threefold decline in earnings compared to white-collar workers. Among women, the tendency was similar. Adjustments for differences in the stage distribution revealed that it was particularly the non-localized cancers that resulted in the observed differences (not shown). For localized cancers, no difference could be inferred to exist between the various educational groups. With the exception of brain cancer, all cancer forms were more strongly associated with declines in earnings in blue- vs. white-collar workers (not shown). Additional subgroup analyses did not reveal any differences in the impact of cancer on earnings between married and non-married persons, overall or for individual cancer forms (not shown). A diagnosis of cancer was strongly associated with not being employed, and cancer was also associated with pronounced declines in earnings for those employed. The effect was most pronounced for persons diagnosed 1 to 4 years earlier. The effect on employment was somewhat larger than that reported by others [19, 20, 21, 22, 23, 24, 27, 28]. This is of concern, as an affiliation to working life has been shown to be important for general well-being and overall quality of life [6, 31]. Also low earnings have been found to be associated with a poor adjustment to cancer and an increase in health-related problems [5, 6, 33]. In addition to these more holistic effects, earning declines may also result in a decrease in general welfare that may extend to the family as a whole if the breadwinner is diagnosed with cancer. Potential changes in earnings have not been as extensively studied as employment changes, but our results appear overall to be somewhat higher than previously estimated [4, 25, 37]. This may be due to our unselected cancer cohort, including also survivors of understudied cancer forms. It could, however, also be a consequence of the research design applied, and we want to underscore that these are baseline findings to be followed-up over time. As rapid changes are taking place in both work environments and cancer diagnostics and treatments, it will be important to assess how this area develops and perhaps improves with time in Norway, as in other developed countries. However, because controlling for education and earnings in 1990 in some models turned out to be unimportant, and because comparable results appeared in additional longitudinal analyses of differences in earnings over time, it seems likely that the obtained estimates reflect consequences of cancer, treatment or long-term effects, and not mere associations. Declines in employment and earnings were most pronounced for leukemia, brain, lung, colorectal, bone, and head-and-neck cancer. This has in part been seen also in other studies [16, 18, 19, 26, 38, 39]. The findings are not unexpected due to the nature of the diseases: These illnesses may be quite debilitating, thus influencing both work abilities and possibilities. Cognitive function is closely connected to work ability and earnings, as demonstrated here by the pronounced effect of brain cancer. Recently, more focus has been diverted to potential adverse effects of the increased use of chemotherapy on cognitive functioning [10, 11]. Leukemia and lymphoma are commonly treated with chemotherapy, and we did find sharp effects on earnings for these cancer forms. As previously stated, a few studies show that breast and prostate cancer survivors who continue to work may earn as much as those who have not had cancer [4, 22, 25]. In line with this, no effect on earnings of men with prostate cancer who remain employed is observed. However, survivors of testicular and breast cancer do experience a modest but statistically significant 5–15% decline in earnings. Skin and testicular cancer are relatively common in the age group studied here, but in line with others’ findings these cancer forms made no or minor impact on employment [20, 21]. In women, gynecological and breast cancer were associated with 25–30% reductions in employment, and these effects were somewhat larger than otherwise reported [25, 37]. This may be related to the Norwegian dual earner labor market, with a comparatively large proportion of females in the work force. More likely, our unselected national material may enable us to shed light on differences that otherwise may be hard to detect. Pronounced reductions that we have not seen reported previously were found for renal and bladder cancer. Advanced disease was associated with more pronounced declines in employment and earnings than localized or regional disease. This was as expected, based on knowledge of likely consequences of more advanced disease. Documentation, however, was warranted, as most previous studies have limited their focus to localized cancers only. Previous studies have suggested that any effect of cancer will be more severe in persons who perform manual, strenuous labor and have inflexible work schedules [21, 23, 29, 38]. This type of labor is most common among persons with lower education. Hence, a modifying effect of educational level on the impact of cancer could be expected. In this study, men and women with low education had almost the same probability of not working as persons with higher education. However, male blue-collar workers had a nearly threefold decline in earnings compared to white-collar workers. For female workers, the tendency was similar but weaker. Correcting for potential differences in the stage distribution for persons with high vs. low education revealed that it was chiefly the non-localized cancers that were responsible for the observed differences. For localized cancers, no difference could be inferred to exist between the various educational groups. All cancer forms except brain cancer impacted more strongly on earnings in blue- vs. white-collar workers. Brain cancer may alter both physical and cognitive functioning dramatically, and thereby interfere strongly with the ability to hold demanding, high earning positions also for white-collar workers. Individuals’ priorities may change as a consequence of cancer. Given sufficient economic flexibility, persons may regard work as less important having encountered cancer. They may thus choose not to work or reduce the working hours, and direct more attention towards family, friends, and rewarding leisure activities [7, 40]. Although the overall effects of cancer appear relatively similar for men and women, certain disparities deserve mentioning. Cancer prevalence is higher among women than men in the employment force in the present study (4.0% vs. 2.1%). Earnings are in general lower among women than men, in Norway as in most other developed countries, and fairly similar percent wise effects may thus impact differentially on the total economic situation for the two genders. In addition, women often have jobs being regarded as less rewarding, and may have fewer possibilities for adjustments in daily work schedules. This may increase the burden on female cancer survivors. It may thus be hypothesized that short-term, long-term and late effects of cancer illness will affect and debilitate women more than men. On the other hand, men are the primary breadwinners also in Norway. Men thus have a greater economic responsibility in households, and may therefore be less likely to reduce hours or take on less demanding positions following illness. Married persons have a stronger economic flexibility compared to singles, and the influence of cancer could thus be hypothesized to differ considerably within married and unmarried cohorts. Not having to work may be considered a privilege following serious illness and perhaps disability for some. One study, for instance, has shown that married women with health insurance tied to their husbands are more likely to reduce their workload than women with insurance linked to their employer . For others, the opportunity to work may be important for their wellness, both psychologically and financially. Women’s reduced workload may thus reflect preferences, and not necessarily reduced work abilities or opportunities. It was thus somewhat surprising that we did not detect a significant difference between married and not-married men or women with regards to cancer’s impact on their employment and overall earnings. Declines in employment and earnings of the magnitude reported here will likely have a modest impact on the financial situation for most cancer survivors. However, for survivors from lower social strata, survivors relatively recently diagnosed, and survivors of cancer forms with the sharpest effects, the impact may be quite pronounced unless it is compensated for by financial welfare arrangements. Cancer’s impact on employment and earnings varies between countries, as the general health and welfare systems differ. For cancer survivors, therefore, opportunities and choices may differ. Cancer survivors with low education experience an economic burden and a decline in work activity that may impact on their quality of life, health, and welfare. The presence of an educational gradient in cancer’s impact on earnings in a relatively egalitarian society, with free public health care and antidiscrimination acts in place to ensure equal opportunities for all, is of particular concern. 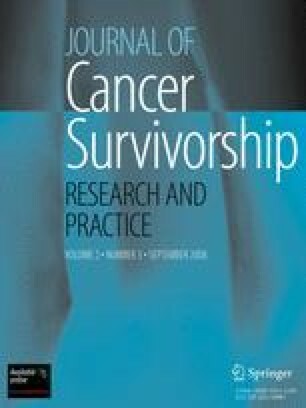 A broader understanding of cancer survivors’ ability to maintain an affiliation to working life and obtain reasonable earnings is warranted. Further research on work force opportunities and choices that relate to social class should be undertaken to explore implications at both individual and societal levels. Sickness benefits were in most instances limited to US $50,000 in 2001. Additional analyses excluding persons diagnosed with cancer in 2001 were performed, but as this did not significantly alter the cancer estimates they were retained in the final models. The lower and upper quartiles were $38,300 and $68,300 for men, and $16,600 and $45,600 for women. In 2001, gross labor earnings accounted for 70% of a households’ total earnings. Investment earnings accounted for 8%, while various public benefits accounted for the remaining 21%. Approximately 30% of the Norwegian work force 16–66 years old is estimated to receive different kinds of public economic benefits. This percentage is markedly lower in the age groups considered here (Statistics Norway, www.ssb.no). This study was supported by a grant from the Norwegian Foundation of Health and Rehabilitation, through the Norwegian Cancer Society. A licensure to match data to undertake this study was provided by the National Data Inspectorate in Norway. No conflicts of interest are stated. Cancer in Norway 2006. Oslo: Kreftregisteret. www.kreftregisteret.no, 2007.